OUR PRICE: $11.98 - Join Rewards Get $1 Dance Dollars On This Item! 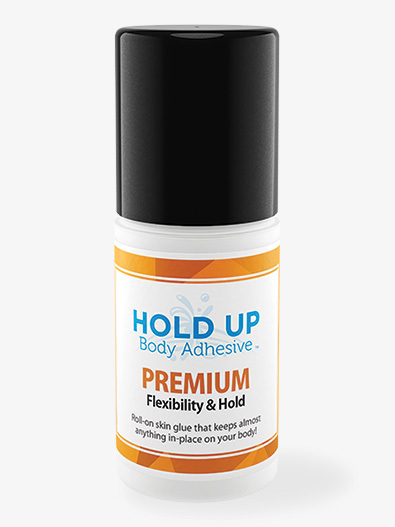 Elevate your performance costumes with the Hold Up roll-on skin glue. Costumes will stay in place with premium flexibility and hold that works during high sweat conditions. Won't stain skin or clothing and washes off with soap and water. Perfect for holding wigs, shoulder straps, theatrical make up, leotard, and anything else you want to "hold up". This glue is amazing! I had a leotard with a strap that was loose - I put a bit of the glue on my shoulder (it rolls on super easily) and the strap stayed in place for the duration of my class. It washes off easy & doesn’t irritate my skin. Works great for performances as well!!! Highly recommend! 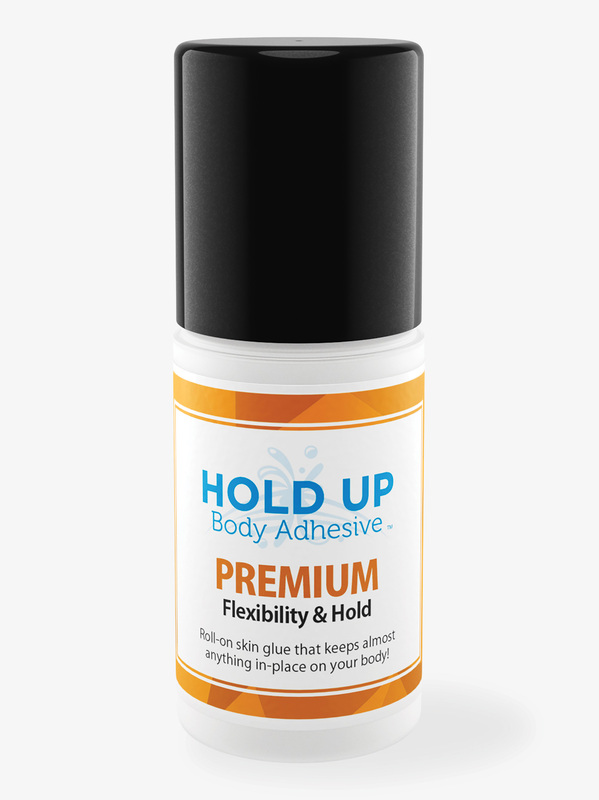 This Hold up glue is great- used it to keep my shoulder straps in place and was happy that it held up great.